THE BEST BASKETBALL IS PLAYED IN SANT BOI! 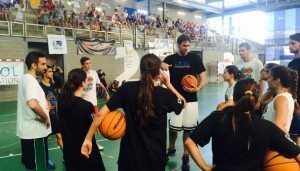 This past Friday, June 26th, Gasol Foundation performed their first basketball clinic at the Pau Gasol Sports Complex in Sant Boi de Llobregat, Barcelona, in partnership with NBA Cares. A total of 80 young people between the ages of 15 – 20 years old from Marianao Foundation’s Vente Pa Ká program benefited from the day’s activities. Sport instruction was led by Pau Gasol and Neal Meyer, former LA Clippers coach. Gasol Foundation thanks the NBA and the NBA Cares organization for helping to make this day possible. “Playing basketball is more than a physical activity. The game brings people closer together in the spirit of cooperation and solidarity. It’s a place where our differences do not matter, where we are all one. Society is at its best when there is a collective commitment towards the welfare of all,” Pau Gasol said at the event this past Friday. For two hours, participants had the opportunity to learn the fundamentals of basketball through a series of trainings and activities, as well as to learn about the value of sportsmanship, teamwork, attitude, respect, health and nutrition. The clinic marked the beginning of the Basketball Cup night, a one-night only basketball tournament put on by Vente Pa Ka. The Marianao Foundation organizes healthy nightlife programming for young people for more than 18 weekends per year. Since 2013, Gasol Foundation has focused its activities and resources on empowering young people to live healthier lives. 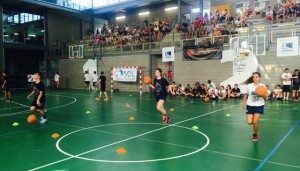 This basketball clinic serves as one more step forward in the foundation’s commitment to the health of the youth of Sant Boi de Llobregat. 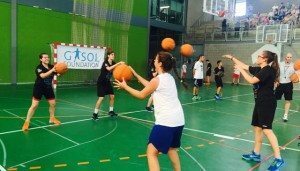 Gasol Foundation thanks the ENDESA corporation and the IFA Group for their event support.